The standard deviation of salaries for the results of this search is 323,370. There are 42 Market Researcher job vacancies in Cape Town City Centre available immediately, compared to 3 in Vredendal North. 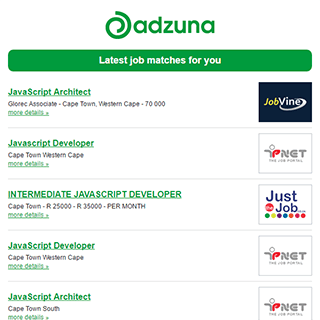 The Adzuna recency index score for this search is 0.85, suggesting that demand for Market Researcher job vacancies in Cape Town City Centre is decreasing. 3 new job listings for this search have been found in the last calendar day, compared with 4 in the last 72 hours and 11 in the last week. Get the latest Market Researcher Jobs in Cape Town City Centre delivered straight to your inbox!